Outdoor wedding invitations are more than beautiful; they make a statement about what's really important to you. You are going to love our collection of nature-inspired designs, from floral and garden illustrations to rustic country motifs. 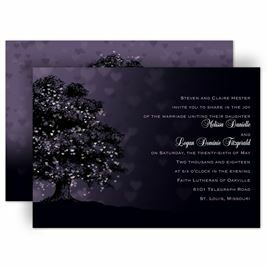 Our collection of outdoor wedding invitations is sure to include the right design for you. Perhaps your nature-loving style leans more toward rustic motifs. Check out our rustic wedding invitations and find the perfect fit for your wedding.